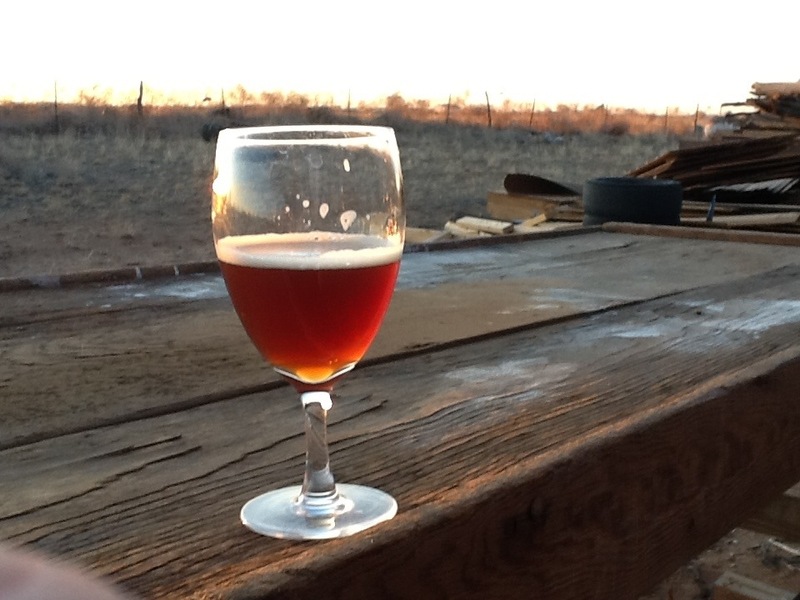 Roosevelt Brewing Company is eastern New Mexico's premier craft brewery and public house. We specialize in hand-crafted ales and wood-fired cuisine, and we are determined to deliver a mouth-watering dining experience. This is my Red Ale. After a long day of demolition work at the brewery (pictures coming soon), I set outside to watch the sunset and enjoy a Red Ale I brewed in September. As it is just turning Spring, I was pleased to see a robin approach. I pretty much had a companion as I watched the sunset, and I can not help but thinking the robin was drawn to the brilliant red hue of the ale in my teardrop glass.